Day 78. Updated postcard wall! October 1, 2013 Categories Geekdom, Post a Day 2013/2014post a day, postcard wall2 Comments on Day 78. Updated postcard wall! 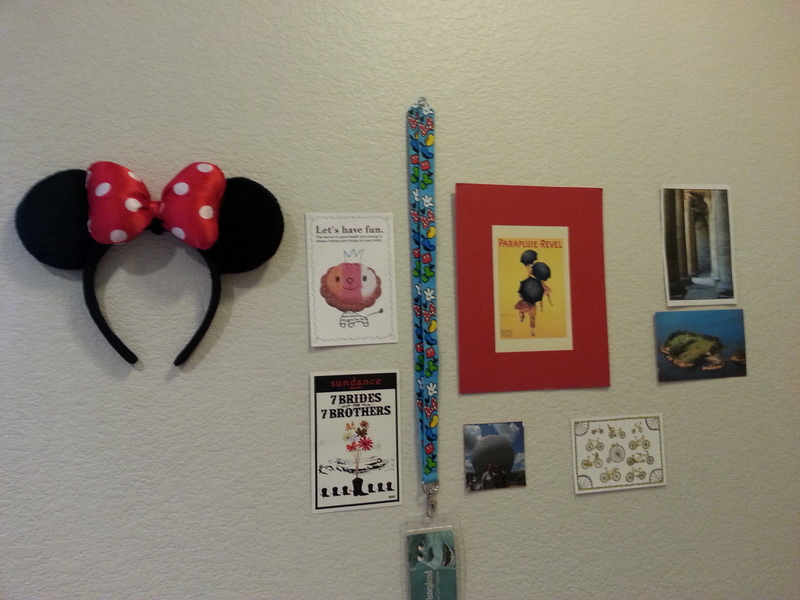 Sometime in August I posted about a postcard wall I had in my entryway. Well just a few days ago I got a postcard to put up there! My long time friend, Leslie, sent me a postcard specifically for my wall! I was so excited when I got it, I was not expecting it at all. This is the first postcard I’ve gotten that was for my entryway! It’s the beautiful 7 Brides for 7 Brothers postcard. Look how perfectly it goes with all my other cards! I have already put it up, including two items I got in Disneyland. I figured that I’d rather have them up on a wall than somewhere in the back of my closet. I’m really happy with how it all looks and am looking forward to more additions! oh, golly…. i almost sent you a postcard last weekend from Paradise, WA … didn’t have your address…. =0( maybe i’ll bring it to you!